Lady Bessy Savage was born in 1699. She was the daughter of Richard Savage, 4th Earl Rivers. She married Frederick Nassau de Zuylestein, 3rd Earl of Rochford, son of William Henry van Nassau van Zuylestein, 1st Earl of Rochford and Jane Wroth, on 3 August 1714. She died on 23 June 1746. Her married name became Nassau. 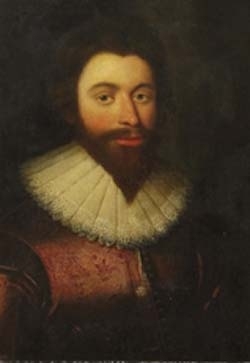 He gained the title of 4th Earl Rivers. [S6] G.E. Cokayne; with Vicary Gibbs, H.A. Doubleday, Geoffrey H. White, Duncan Warrand and Lord Howard de Walden, editors, The Complete Peerage of England, Scotland, Ireland, Great Britain and the United Kingdom, Extant, Extinct or Dormant, new ed., 13 volumes in 14 (1910-1959; reprint in 6 volumes, Gloucester, U.K.: Alan Sutton Publishing, 2000), volume I, page 445. Hereinafter cited as The Complete Peerage. She was also known as Jean Hay.1 Her married name became Douglas. 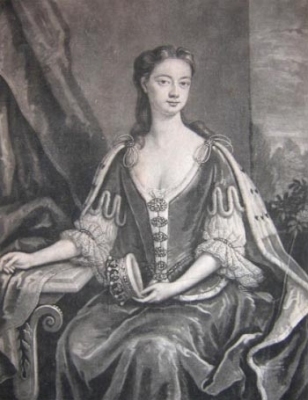 After her marriage, Lady Jane Hay was styled as Countess of March on 20 April 1697. Lord George Douglas was the son of William Douglas, 1st Duke of Queensberry and Lady Isabel Douglas.1 He died, unmarried. From before 1649, her married name became Riddell.1 Her married name became Douglas.